Coffee, Cash & Cocktails: A Recap of February’s Latte Art Throwdown. We had a blast hosting the monthly Latte Art Throwdown at Miller’s All Day on February 21st. 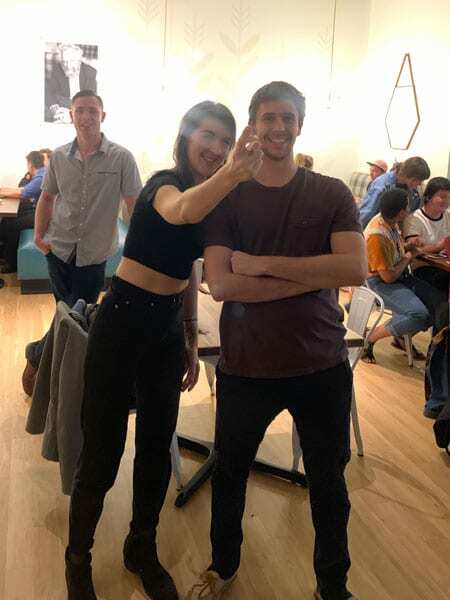 These events are a fun way to for the coffee community to connect and celebrate each other’s hard work with a bit of friendly competition. We couldn’t host the Throwdowns without the help of our venue, judges, and sponsors. A huge thank you to Miller’s All Day for staying open late and serving our community some delicious cocktails and snacks during the event (if you tried the house-made onion rings, you know we truly mean delicious). Miller’s is a beautiful space with great energy – we highly recommend you stop in for brunch or a beverage soon. 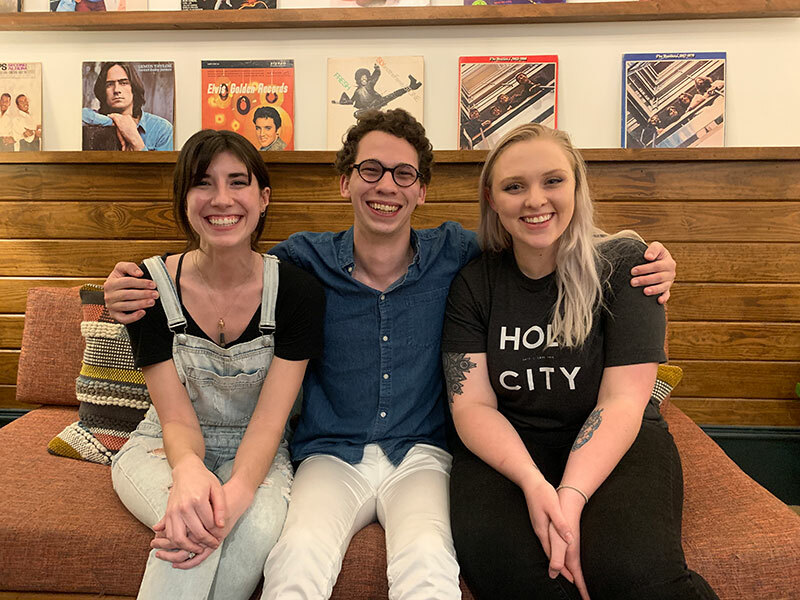 Our February judges panel included Matthew Haigler from Superior Coffee on Saint Helena Island (you may recognize him as the winner of the past Throwdown), Janelle Starrett from Tidal Grounds in Mount Pleasant, and Taylor Imerzel, the Coffee Director at Mercantile and Mash. 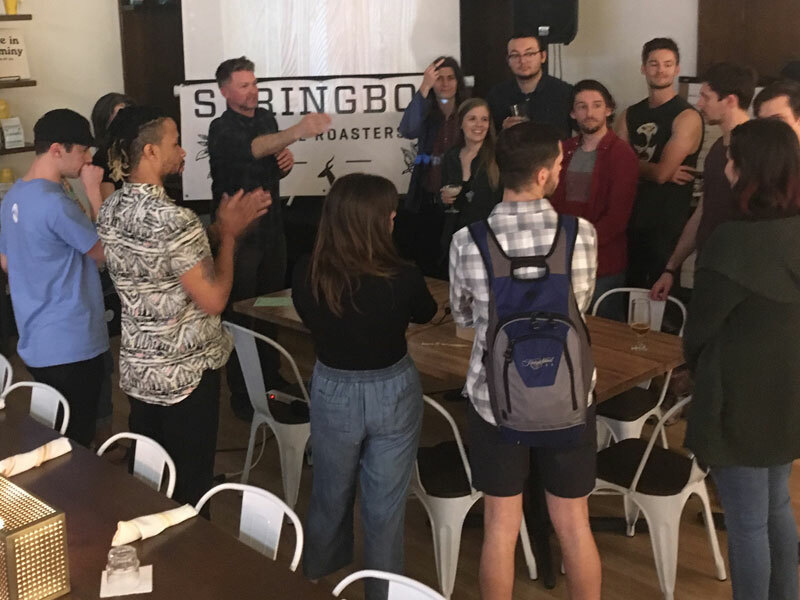 16 local and regional baristas competed on the 21st, including Catie Stilwell of Queen City Grounds all the way from Charlotte, NC, as well as competitors from nearby cafes like Kudu Coffee & Craft Beer, Broom Wagon, The Daily, Second State, Superior Coffee, 132 Spring St., and Mercantile & Mash. These talented pros poured some amazing latte art in the hopes of winning great prizes from our sponsors. This month’s first place $200 prize was sponsored by yours truly, Springbok Coffee Roasters, and our second place $100 prize was provided by , a pop-up coffee and retail shop, and Haegur, a modern plant store located on Upper King Street. 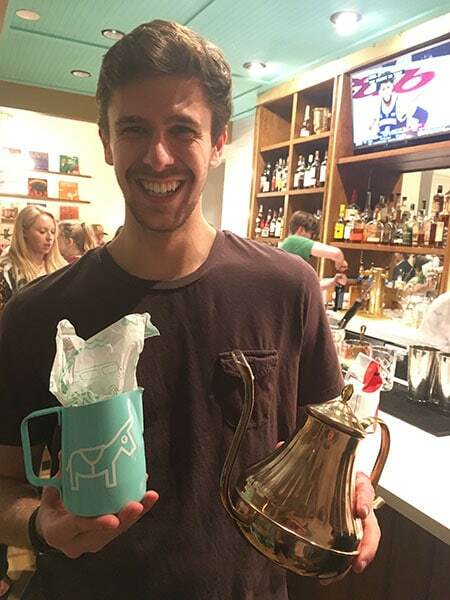 We also had some incredible swag provided by our friends at Broom Wagon Coffee, an awesome roaster and cafe in West Ashley, and Talk Coffee to Me, one of Zagat’s 30 Under 30 coffee professionals. So, who took home the goods? Our first place winner, Justin Estes from Second State Coffee went home with $200, a custom Slow Pour Supply milk pitcher provided by Sightsee, a beautiful copper kettle contributed by Talk Coffee to Me, and a freshly-roasted bag of Broom Wagon beans. Coming in a close second was Valerie Pollock of The Daily / Butcher & Bee, who went home with a nice cash prize of $100 and a bag of Broom Wagon coffee. (By the way, you can learn more about Valerie and her work in our Q&A here). Congratulations to our prize winners and a huge thank you to all of our talented competitors and enthusiastic attendees! If you couldn’t make it to February’s Throwdown, we’d love to see you at our next Throwdown on April 25th at Kudu Coffee & Craft Beer. We’ll have Pop-Up market in the courtyard from 5pm-7pm, and Pub Fare will be serving up burgers until 8pm. The Throwdown will start at 7pm.